In Hawaii’s workers’ comp system, people with long-lasting injuries are often forced to battle doctors hand-picked by insurance companies to get treatment. Hobbled by pain from work injuries, Vanessa Sylva had to overcome medical reports by insurance doctors that challenged her need for surgeries. Surveillance is accepted practice in workers’ comp cases. It can lead to a cutoff of benefits, but things are not always as they appear. Part 4: Whose Side Is This Workers’ Comp Doctor On? Chris Brigham has exerted major influence on how Hawaii’s insurers treat injured workers claims. Critics say he has mostly made it easier to slash benefits. A Civil Beat investigation found frequent shortcomings with how Hawaii’s education department handles workers’ comp claims. A key lawmaker is promising to again pursue reforms in Hawaii’s workers’ comp system during the upcoming legislative session. 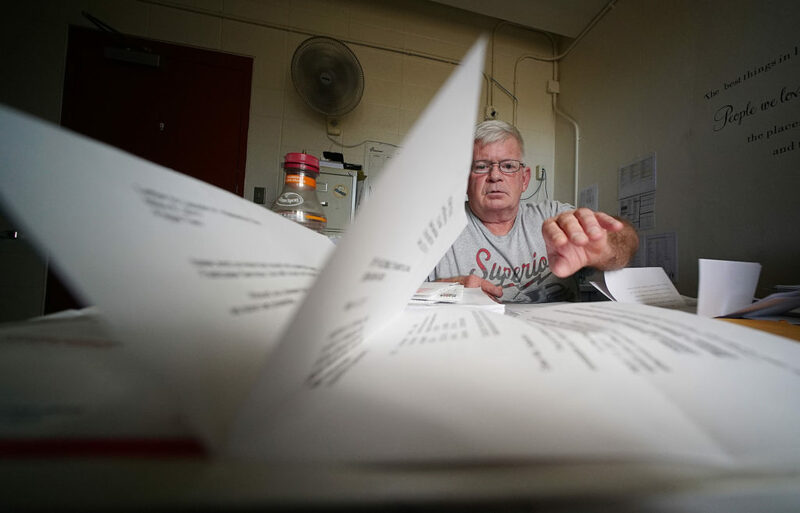 Daniel Junker sits in front of a pile of his workers' comp paperwork. His insurance company continued to deny his treatment plan, even after a state hearing officer ordered the company to cover his medical care. Part 1 of an ongoing series about Hawaii’s workers’ compensation system. Kolen Kauwalu was pumping liquid concrete, helping to assemble a platform that would anchor one of the construction cranes that loom over the Honolulu skyline, when it started to rain. He lost his footing on the slick platform, falling about 12 feet to the ground, landing on his left leg. The pain in his knee was immediate. His skin felt hot. 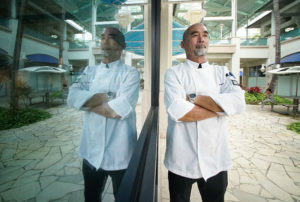 Kauwalu didn’t know it on that March day in 2007, but he was about to embark on a 10-year odyssey into Hawaii’s system for compensating and treating injured workers. An eight-month investigation by Honolulu Civil Beat found that Hawaii’s workers’ comp system forces many injured workers with long-lasting or complex injuries to battle insurance companies and their hand-picked doctors to get treatment and disability payments. The system was designed to be “no-fault,” much like auto insurance – you get hurt, you get treatment. But for workers like Kauwalu, it too often turns into a litigious nightmare. 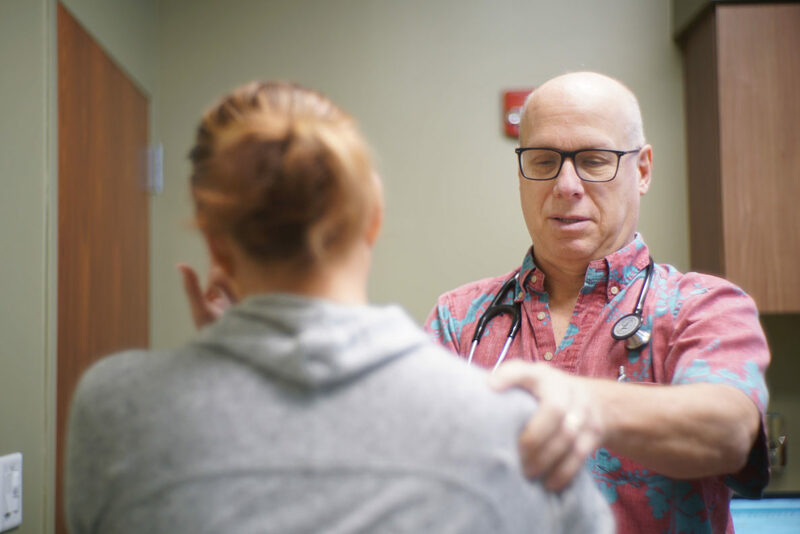 Dr. Scott Miscovich, examining a patient at his Kaneohe clinic, is one of a dwindling number of doctors willing to treat workers’ comp patients. While workers often prevail, it can mean hiring lawyers and waiting for years as the insurers deny treatment plans and appeal administrative decisions over and over again on the same or similar grounds. In the meantime, disability payments and treatment are cut off. The insurers can afford to wait out workers. Many workers decide to accept lump-sum settlements rather than continue to fight. 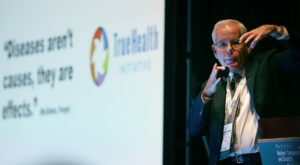 “There’s definitely been a trend, especially in the last 10 years, where essentially I think that denial equals trying to starve the patient out,” said Scott Miscovich, a Kaneohe doctor who is one of a dwindling number willing to see workers’ comp patients because of the hassles, from burdensome paperwork to delayed or contested payments. 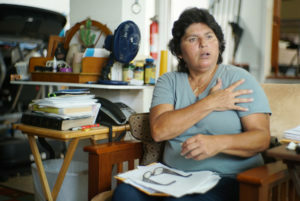 To report the “Waiting In Pain” series, Civil Beat investigative editor John Hill interviewed dozens of injured workers and their lawyers and doctors and reviewed their case files. 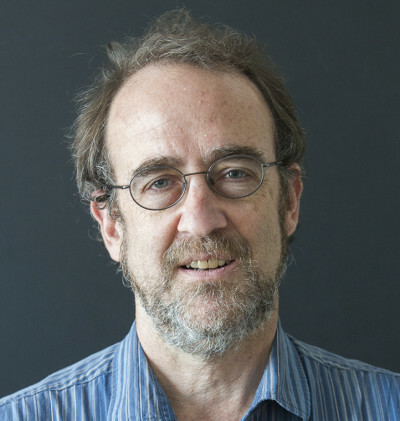 He analyzed several hundred workers’ comp cases before the Labor and Industrial Relations Appeals Board and appellate courts, looking for patterns in how often treatment was denied and how often insurance doctors’ opinions were discounted, including a more detailed look at three doctors used most frequently by insurers. 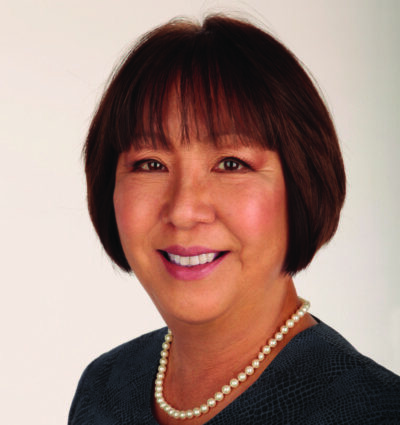 Hill examined other state workers’ comp laws, particularly those pertaining to medical exams, as well as precedent-setting Hawaii court cases and the legislative record of failed attempts to pass a law requiring both parties to agree on a medical examiner. Miscovich is president of an association of doctors who treat injured workers. Membership in the group has dropped by half, to 50, in the past five years. Civil Beat’s investigation found that some of the doctors who examine workers for insurance companies almost always cite reasons to cut off or minimize care or reduce payouts to workers. Our investigation analyzed almost 200 reports over the past seven years by three doctors who have been cited most often in cases before the Labor and Industrial Relations Appeals Board and appellate courts. Many more cases, decided by hearing officers in the state Department of Labor and Industrial Relations, are not public. In nearly nine out of 10 of these public cases, the three doctors issued opinions that were bad news to workers trying to get treatment or payments — the injury did not occur at work, for instance, or it’s resolved and needs no further treatment. Or the worker has no permanent impairment that would warrant a cash payout. The insurance industry in Hawaii has long argued that these exams are the only way to make sure claims are legitimate and avoid unwarranted expenses from fraud or excessive treatment. Insurers have blocked a dozen legislative attempts in the last 10 years to require both sides in a workers’ comp case to agree on a doctor to perform an exam. But in a substantial number of cases, the doctors’ opinions are eventually rejected by neutral arbitrators. For the three doctors, Civil Beat analyzed cases in the past seven years in which their medical exams played a part in arbitrators’ decisions. More than a third of the time the labor board or appellate court discounted the doctor’s opinion or found that the insurer, relying at least in part on the doctor’s report, failed to present enough evidence to block the claim. Since 2014, it’s been an even higher rate — about half. Workers who persist may ultimately prevail, but at a cost. Dozens of injured workers interviewed by Civil Beat described how their lives were derailed by their struggles against insurance companies. Joelynn Santiago said she contemplated suicide by taking pills or jumping onto the H-3 highway. She was homeless, living in her car with all her belongings in the trunk, while two workers’ comp insurance companies fought over which one was responsible for treatment of her injured knee. She kept a miniature baseball bat in the side pocket to fend off assailants. "When all my workers’ comp stopped, I had no money to pay my rent, I had no money to pay my car. I had nothing, nothing, nothing." 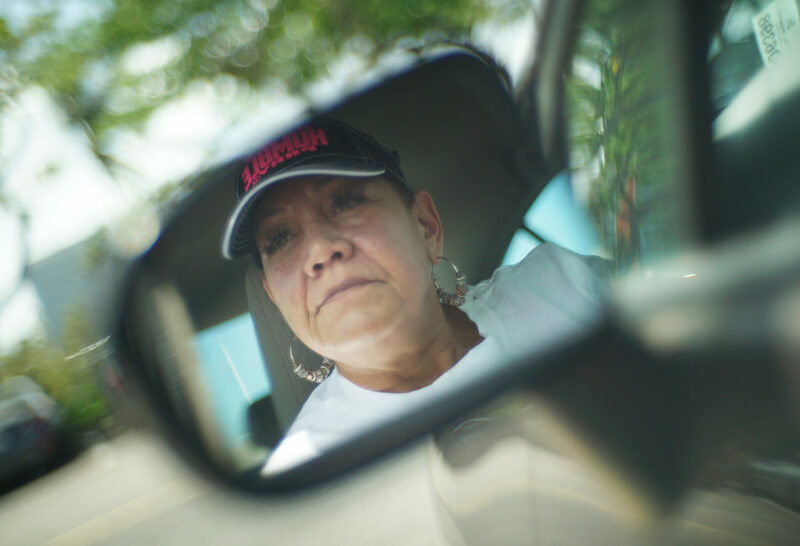 Joelynn Santiago became homeless and started living in her Honda Civic as her workers' comp case was disputed. Rick Dyer lived in his truck while he battled the insurer to admit the back injury occurred on the job — until he ran out of money for truck payments and gave it back to the dealer. He lived for a while on a couch in the office of a friend’s chicken farm on the Big Island, filled with roaches, yellow jackets, wasps and spiders, bathing with a bucket, eating papayas and macadamia nuts from his friend’s trees, until the insurer relented. Critics believe much of this suffering could be eliminated by allowing both sides to agree upon a doctor — the proposal that the industry has fought so hard in the Legislature. “They must be really afraid of what a truly independent medical examiner is going to find,” said state Sen. Karl Rhoads, author of three of the bills. Sen. Karl Rhoads has introduced three bills that would have required both sides to agree on which doctor would perform an examination of an injured worker. Some doctors who do these exams inform workers that they are not establishing a normal treating relationship. The doctors, in other words, are working for the insurance companies, not the patients. Linda Chu Takayama, who led the labor department until recently being appointed head of the state Department of Taxation, said she has been focusing on streamlining and speeding up processes in an operation that had been relying on paper and whose staff was decimated by 40 percent during the last recession. The labor department cut the time it took to register a case from eight weeks to two, and now has funding for six facilitators to act as champions for injured workers and keep track of emerging issues. Told of Civil Beat’s findings, she said, “I’m not aware specifically of any bias in the system” in how workers’ cases are handled. She acknowledged, though, that workers’ comp insiders having been fighting over the issue of so-called “independent medical exams” since her tenure as state insurance commissioner 25 years ago. The department has estimated about 3,500 to 5,000 exams are performed each year. A couple of dozen Hawaii doctors regularly do them. Takayama also pointed out that almost 90 percent of cases are settled without being contested. Civil Beat contacted the insurance companies and doctors involved in the cases of injured workers described in this story. All failed to respond or declined to comment. Kauwalu’s case illustrates many of the barriers workers can face. SeaBright Insurance Co., the workers’ comp carrier for his company that was bought by Enstar Group in 2013, called off knee surgery three days before it was scheduled, saying it needed more time to investigate. By the time the company relented more than nine months later, the surgeon said so much time had passed he needed a new MRI. After that was done a few months later, he advised against the surgery to rebuild a hole in Kauwalu’s knee with stem cells because changes in his knee rendered the procedure useless. An Enstar representative did not respond to a request for comment. Kolen Kauwalu has battled for workers’ comp benefits for 10 years since he fell 12 feet from a platform and injured his left knee. Disability checks arrived late or not at all. The financial uncertainty forced Kauwalu and his family to cancel a house purchase and move to someplace cheaper. Eventually, Kauwalu returned, with his wife and children, to the already-crowded home of his parents. SeaBright denied his request for aquatic therapy. Unable to exercise or work, he gained a substantial amount of weight. He was forced to undergo an examination by a doctor hired by SeaBright, despite the fact that he’d been through several already. That doctor, Clifford Lau, acknowledged that Kauwalu had been injured and permanently impaired at work. But Lau concluded that much of Kauwalu’s continuing knee pain was not from his fall from the platform, but from a variety of other causes unrelated to work. That included obesity, even though a psychologist hired by SeaBright had written that Kauwalu’s weight gain was caused by lack of activity since his work injury. “I do not believe that a total knee replacement is reasonable or necessary as a result of the industrial injury,” Lau wrote. It also was likely to fail, he opined, since Kauwalu was obese. So the insurance company denied treatment requests from Kauwalu’s doctors. Lau, who was one of the three insurance doctors whose opinions Civil Beat analyzed, declined to comment for this story. As all of this unfolded over several years, a man who had taken pride in his ability to support a family of six, who enjoyed working 60-hour weeks, was left to knock around the house. He could no longer do side jobs as a mason. Coaching his kids’ baseball or football teams was out. He became restless, prone to periodic rages where he’d break a TV or dresser, succumbing to crying spells two or three times a week. His wife would take the kids to her mother’s for a few days. And he would concur – he dreaded hurting one of them accidentally. One day in 2010, the checks from the insurance company were late again, bills were overdue, the cupboards were empty and the car needed repairs. He thought about putting a bullet through his head. The only thing that stopped him, he told a psychologist, was that “I had my baby with me” – his 5-year-old son. One of the hardest things was watching three sons and a daughter graduate from high school and find himself unable to pay for celebrations. Eventually, he got his personal insurance to cover a knee replacement. He’s still trying to get worker’s comp to pay, arguing he gained weight because of the accident. His doctors still have not cleared him to work. 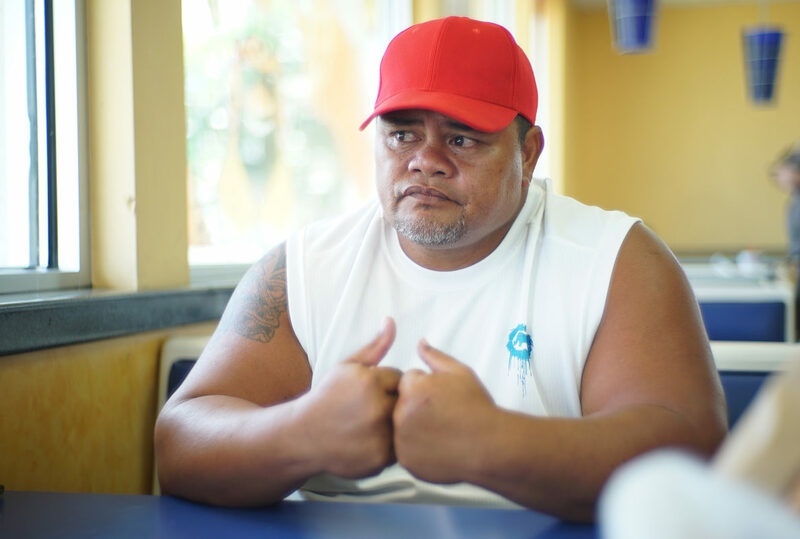 Ten years later, Kauwalu battles on against the workers’ comp system, one of many injured workers trying to navigate a system they say seems set up to break them. "I didn't feel like the system was there for me. I felt lost." Rick Dyer lived in his truck while his workers' comp case was disputed, then had to give it back to the dealer and moved into the old office of a friend's chicken farm on the Big Island. Not all of them make it. Two of Masui’s clients committed suicide, he said. Others have threatened violence against their workers’ comp insurance companies. One told Masui he was so depressed he was either going to kill himself or take a semiautomatic pistol to the insurance company and shoot someone. A century ago, state courts were clogged with lawsuits filed by workers injured on the job in an increasingly industrialized economy. So reformers struck a “grand bargain.” Workers would give up the right to sue, but in return, employers would make sure that injuries were treated and workers got enough money to keep them going until they recovered — a simple no-fault system to avoid protracted and messy litigation. Every state passed some type of workers’ compensation law. Hawaii, then a territory, passed its law in 1915. It’s similar to statutes in many other states, although it does include some quirks. Until recently, for instance, it allowed the employer’s physician to visit the injured worker at home, an apparent relic of plantation days when workers lived in company housing. Indeed, many simple claims — and even some complicated ones — get covered with little fuss. Of almost 21,000 cases in 2016, for instance, only 12.6 percent were contested in front of a labor department hearing officer or the labor appeals board. But for some costly, complex claims, the picture can look far different. Workers can become enmeshed in a system of complex rules and hardball tactics that looks much like what they would have found in a courtroom. Some injured workers describe the sinking sensation of walking into a hearing room, where they planned to represent themselves, only to find a table of briefcase-toting suits lined up against them. Some insurance companies routinely deny claims “pending investigation,” even though the law contains no provision explicitly allowing them to do that. Yet the state labor department, which oversees the workers’ comp system, says the insurers must have some time to investigate whether it can find “substantial evidence” needed to overcome the presumption that the claim is legitimate. The law says the insurance company has 30 days to produce a report justifying its denial. In practice, the labor department often grants extensions beyond this 30-day deadline, delaying treatment and benefits. The department said it did not have data on how often this happens, but claimants’ attorneys say it’s routine. The department says it often takes more than 30 days for both sides to gather the necessary information, for workers to see their own doctors and for insurance companies to line up an exam with doctors of their choosing. The insurer exam, in fact, is responsible for about 80 percent of extensions, the labor department told Civil Beat. The insurer pays a doctor to do an exhaustive review of the worker’s medical history, as well as in-person testing. The reports can total dozens of pages, covering every facet of the worker’s medical history. One doctor wrote in a report that the 10 minutes an injured worker spent zip lining on the Big Island might have aggravated her ongoing symptoms. But the doctor admitted in testimony before the labor appeals board that he didn’t really know what her zip lining involved. The board discounted his opinion. Another attributed a worker’s complaints not to mold in the workplace but to a diet of oily foods, a stressful relationship with his girlfriend and a dusty house. Some doctors paid by insurance companies frequently conclude that an injury existed before the workplace incident. Or the worker was injured, but it resolved on its own, requiring no further treatment. The worker is malingering or exaggerating symptoms. The worker has developed an unhealthy dependence on the workers’ comp system. The report may point out that there’s no objective evidence for the injury – an MRI, for instance. But, workers ask, how were they supposed to get this kind of evidence when the workers’ comp claim has been denied? Some pay out of their own pockets for diagnostic imaging to prove they were injured. In the past decade, the insurance industry has fought off a dozen attempts in the Legislature to require both sides in a workers’ comp case to agree on the doctor who will examine the injured worker. Insurers say their power to choose the doctor is the only way to check possible excesses permitted by Hawaii’s “presumption” that a claim is legitimate – overtreatment by doctors, say, or fraud by workers. Linda Chu Takayama, former director of the state Department of Labor and Industrial Relations, says battles over who gets to pick the doctors that perform exams have gone on for years. But insurers in Hawaii don’t appear to be suffering. In 2015, for instance, accident and health insurers in Hawaii paid out 83 percent of the amount they collected in premiums. By contrast, workers’ comp carriers paid only 53 percent. HEMIC, the state’s largest workers’ comp insurer, routinely pays back dividends to its policyholders, including $3.5 million this year — a total of $31 million in the past 11 years. From 1986 to 2016, workers’ comp premiums paid by employers in Hawaii dropped from $8.91 per $100 of payroll to $1.96. Rates have dropped nationwide during this time, but in Hawaii it’s been particularly dramatic, with the state going from almost three times the national median to just slightly above the median. 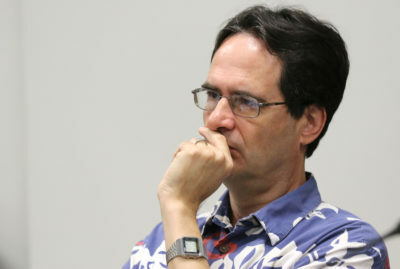 Workers can appeal insurers’ denials – first to a hearing officer at the labor department, then to the labor appeals board, then to an appellate court and finally to the Hawaii Supreme Court. But that can take years – even a decade. During that time, the worker may get nothing. If a worker prevails in hearings, the insurance company is free to appeal. And even when a claim has been accepted as work-related, an insurer may deny a particular treatment plan, often leading to a fresh round of appeals. Jay Dela Pina injured his lower back working as a custodian in 2008 when he bent over to pick up a bucket full of solution and mop heads at Hilo Medical Center and turned to push a cart. The medical center, part of Hawaii Health Systems Corp., is self-insured and uses a company called Acclamation Insurance Management Services to process claims. 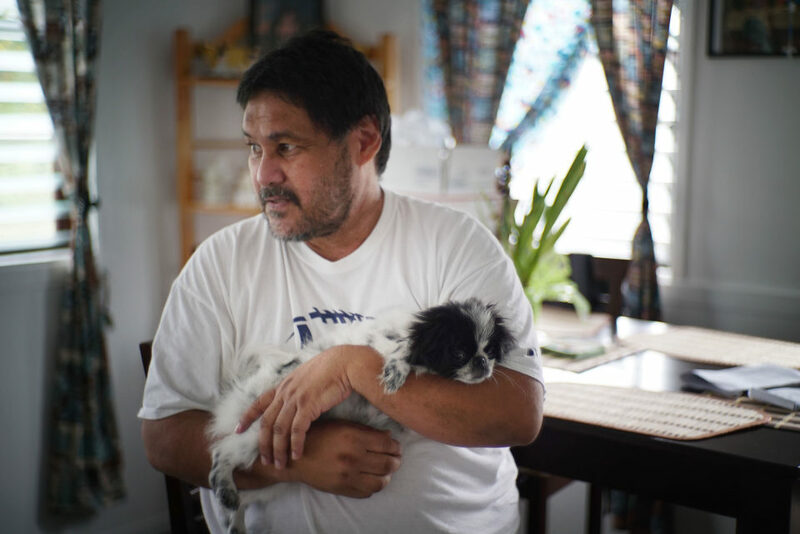 Jay Dela Pina holds his daughter’s dog at his home in Hilo. His workers’ comp carrier denied treatment based on a report by a doctor it hired even after a hearing officer said the doctor’s findings were not enough to block the claim. A few months later, a doctor hired by Acclamation said Dela Pina’s back problems stemmed not from work but from a history of degenerative disc disease. A hearing officer said Dela Pina was entitled to treatment despite the doctor’s report. Acclamation continued to deny treatment plans over the next year and a half, still relying on the same doctor’s medical report. It found other reasons as well. In one case, it cited a treatment plan’s failure to include the business address of a doctor Dela Pina wanted to consult, among other shortcomings. Acclamation did not respond to a request for comment. After a series of appeals to hearing officers and more medical exams ordered by the insurer, the case went to the labor appeals board in 2013. The board called Acclamation “unreasonable” for continuing to rely on its initial doctor’s report, even though the hearing officer four years earlier had ruled that the report wasn’t enough to block the claim. Nine years after his injury, Dela Pina sought approval of consultations for a second surgery on his back and psychological treatment. Acclamation did not deny the request this time – it simply didn’t answer. Claimants’ attorneys say that’s an increasingly common tactic. Under Hawaii law, treatment plans are considered approved if the insurer fails to deny them within seven days. Yet many medical providers tell claimant’s attorneys that they will not treat injured workers unless the insurer expressly approves it. They say they’ve been burned too many times, treating workers’ comp patients only to struggle to get paid afterwards. In Dela Pina’s case, a hearing officer ruled in February that the treatment plans were “essentially valid” because Acclamation did not respond. But the hearing officer did not expressly approve the plans, and Masui, Dela Pina’s lawyer, expects to still have a hard time getting the doctors to see him. Meanwhile, Dela Pina waits, still in pain. Others have run the same gauntlet of insurer medical exams and treatment denials even after hearing officers, the boards and even courts have found in their favor. 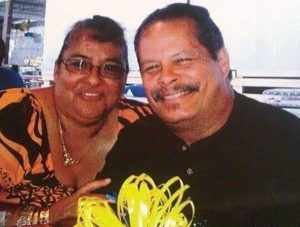 Daniel Junker was working as a security guard in Kakaako in 2015 when a prowler slashed him in the upper chest and forearm with a box cutter and slammed him against a dumpster. 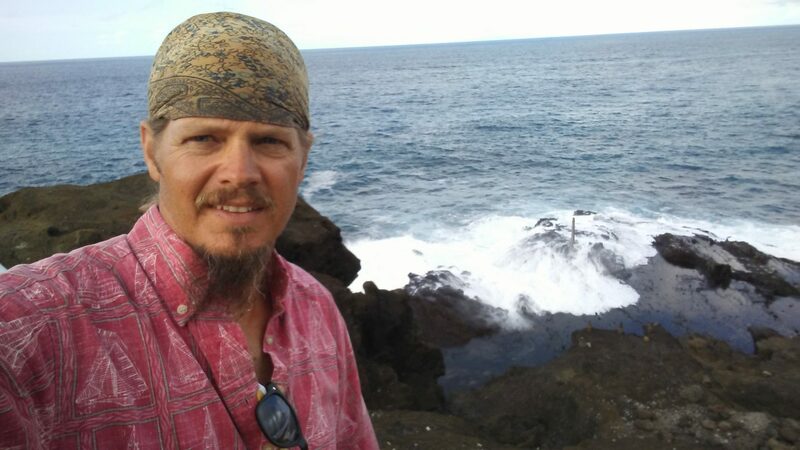 Daniel Junker was stabbed by a prowler while working as a security guard at a warehouse on Coral Street in Honolulu. But when his shoulder pain persisted for a year, the insurance company’s third-party administrator, Sedgwick Claims Management Services, paid for a medical exam by Clifford Lau, the same doctor whose report on Kauwalu attributed his knee pain to obesity. In Junker’s case, Lau pointed to an extensive history of shoulder problems, including a special type of total shoulder replacement for patients with large rotator cuff tears. Based on Lau’s report, Sedgwick cut off Junker’s payments and denied any further medical care. Junker’s attorney demanded a hearing at the labor department. Junker pointed out that he had been well enough to work as a security guard. In fact, he believes that if he had not been in decent physical shape, his attacker likely would have killed him. The hearing officer agreed with Junker and ordered Sedgwick to cover his medical care and reimburse him for disability payments cut off a year earlier. A month later, the labor appeals board denied Sedgwick’s motion to block the hearing officer’s decision. That appeared to clear the way for Junker’s treatment, including a complicated surgery on his axillary nerve that would have to be done by specialists in Massachusetts. But a few weeks later, in July, Sedgwick denied a treatment plan from Junker’s doctor. It cited Lau’s reports, which had already been discounted by the hearing officer and the labor board. Junker, who grew up on Cape Cod, has spent about two-thirds of his life at sea, starting as a ship’s mate at 14. He had his own charter boat business, but when tourism plummeted after the 9/11 attacks, he shut it down. Now Junker, who was once homeless for a few months, dreads being forced back onto the streets by his workers’ compensation troubles. With his shoulder out of commission, he fears he’d be less able to defend himself in the assaults he says are common in homeless camps. He worries that he’s getting worse from lack of treatment. His arm is starting to go numb and, unlike in the past, stays that way for extended periods. His doctor has told him he could lose use of it. 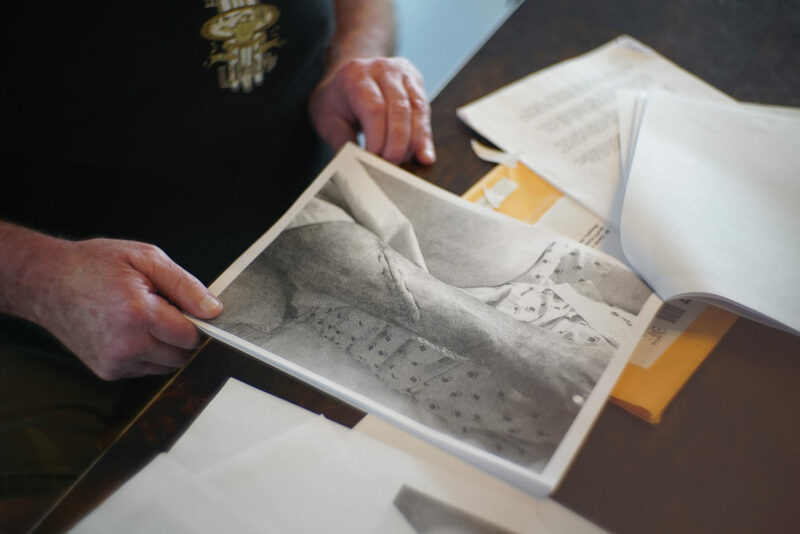 Daniel Junker with photos of his stab wound and stitches. He worries that his injuries are getting worse because of lack of treatment and that he’ll eventually wind up homeless. 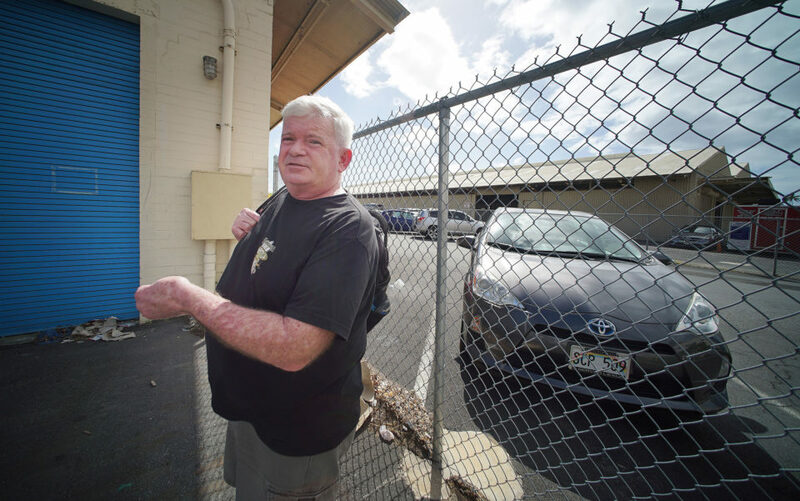 Michael Makekau’s struggles with the workers’ comp system began in 2011, after he concluded that his frequent bouts of bronchitis, pneumonia and a constant dry cough had been caused by molds in an unmaintained air-conditioner at the Hilo landfill scale house where he worked. Makekau paid for his own sampling of the scale house, showing that some molds were present at much higher levels than in the outside air, indicating a source inside the trailer. Michael Makekau stands in front of the scale house where he was sickened by mold from an air conditioner at the Hilo landfill. 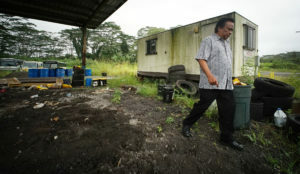 Hawaii County, which runs the landfill, sent Makekau to a doctor of its choosing, who found it unlikely that Makekau’s symptoms had been caused by working in the scale house, pointing instead to his history of allergies and asthma. The report did not mention the elevated levels of mold Makekau’s own testing had shown, before the county serviced the air conditioner. 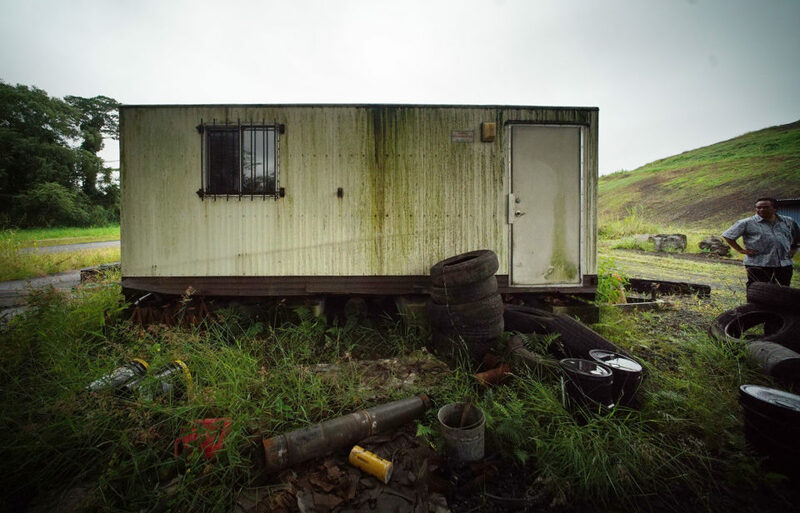 After a state hearing officer ruled in Makekau’s favor in 2012, the county sent him to another doctor, who came to very similar conclusions as the first one – his symptoms had come on long before he started at the landfill and had nothing to do with work. On the strength of that report, the county again cut off his disability payments and medical care. But after Makekau paid for consultations with two mainland experts, who both said that his lung problems stemmed from mold in the scale house, the county withdrew its appeal. Even though the county now admits that Makekau was injured at work, it continues to deny some of his claims. It recently approved eight visits with his primary care doctor, but refused to pay for his medicines. Now Makekau has been told that he could be facing a lung transplant. 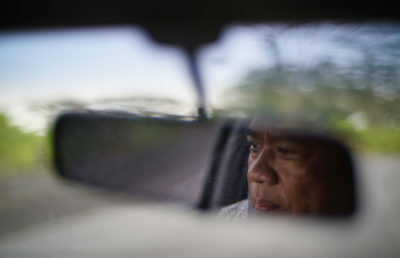 Michael Makekau drives to the scale house at the old Hilo landfill where he was sickened by mold from an air conditioner. In the meantime, Makekau declared bankruptcy and sold his house. He estimates that he spent $30,000 for environmental testing and consultations and treatment on the mainland. Makekau said he has come back from adversity many times, including a 4-year stint in prison for drug trafficking, which he credits for turning around his life and led him to get a bachelor’s degree and pursue a master’s in social work. But this struggle with the workers’ comp system? “Psychologically, it almost broke me down,” he said. Whose Side Is This Workers’ Comp Doctor On?